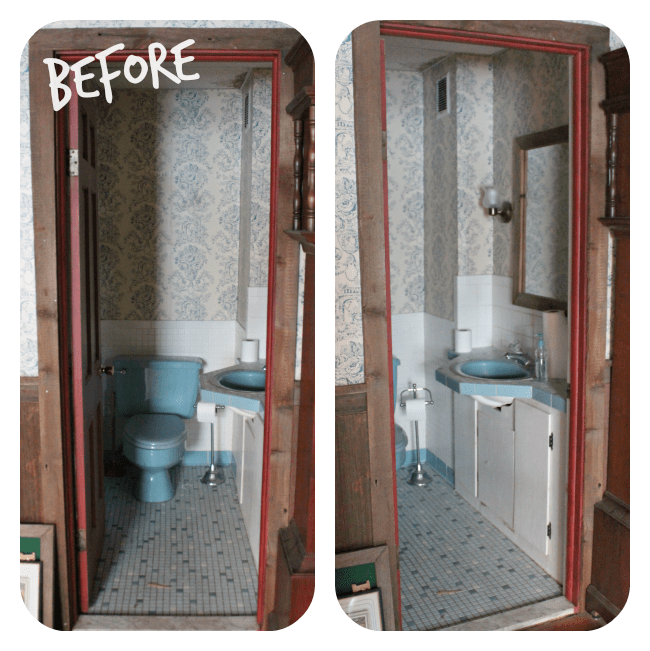 You are here: Home / Room Makeovers / 30 Day Makeovers / BEFORE & AFTER: Jessica’s Gorgeous Narrow Half Bathroom! 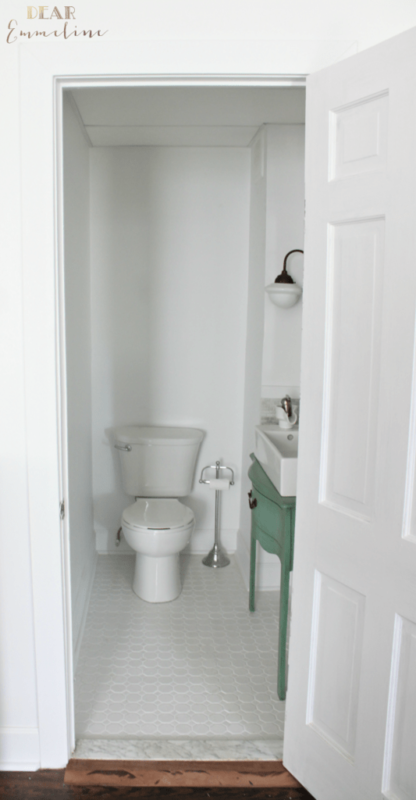 BEFORE & AFTER: Jessica’s Gorgeous Narrow Half Bathroom! I bet many of us have bathrooms like this in our house (like MINE!!!!). Jessica joined the 30-Day June Room Challenge last month because she was updating her narrow half bath. This is what it looked like just over 30 days ago!!! Unbelievable….. I don’t know what it was about the 70’s, but for some reason, colorful toilets were the rave, huh?!?! 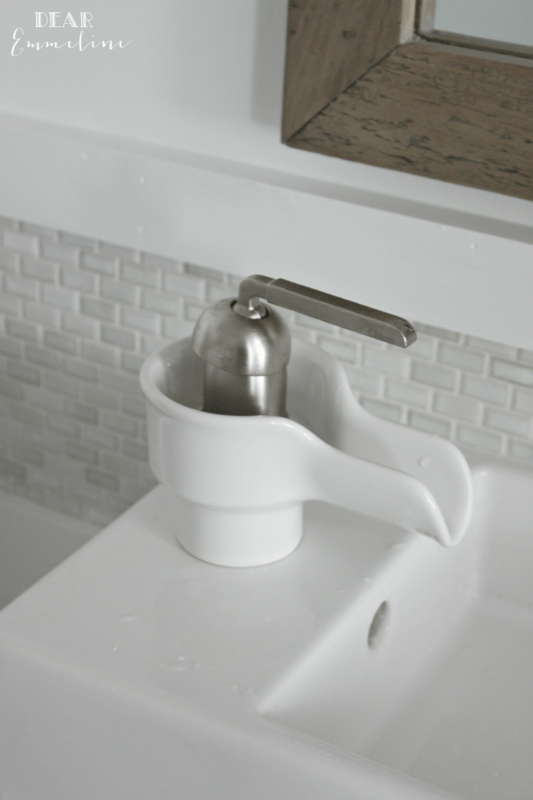 “The biggest challenge of this project was deciding how to replace the existing sink. Once I found a sink with the right footprint from Ikea we had to figure out how to mount it. I drew up plans for a base to custom build but then stumbled upon a perfectly sized console table at Joss and Main. Jessica rocked it out!!! 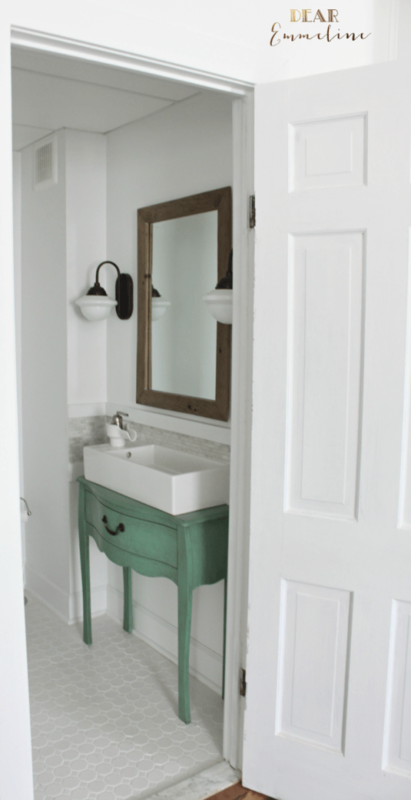 You can find more details on her bathroom makeover over on her blog, Dear Emmeline! 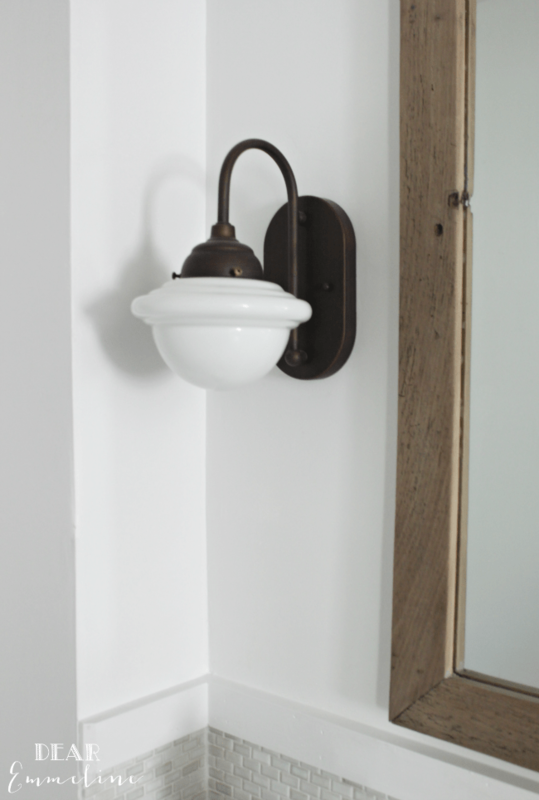 Is there a room in your house begging for an upgrade? Join the 30-Day August Upgrade Challenge now! « BEFORE & AFTER: Dawna’s Magazine-Perfect Bedroom Makeover! Great job. Hats off to Jessica. I’m totally in love! Beautiful job. It’s so crisp & clean with the right amount of country chic. I would say its perfect! Well done!! very elegant — what is the flooring? I think we have the same ‘before’ tile – and I really like the’after’ flooring. Did you tile on top of tile, remove the original, or lay some other flooring down? 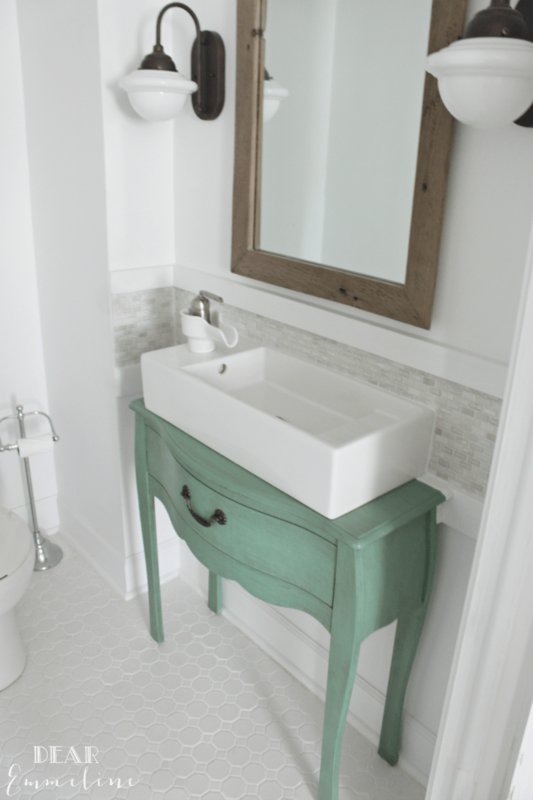 Everything looks great, the sink vanity color is perfect! Wow. I love every little detail. What a fantastic make over!